The only way to know if you have high blood pressure is to have it tested. Your healthcare provider will give you two numbers: systolic pressure and diastolic pressure. Talk to your healthcare team about creating a treatment plan if you have high blood pressure. There’s a lot they can do through diet, exercise, and medication to help you regain a healthy blood pressure. They know your medical history and know what makes the most sense for you. References: 1. American Heart Association. 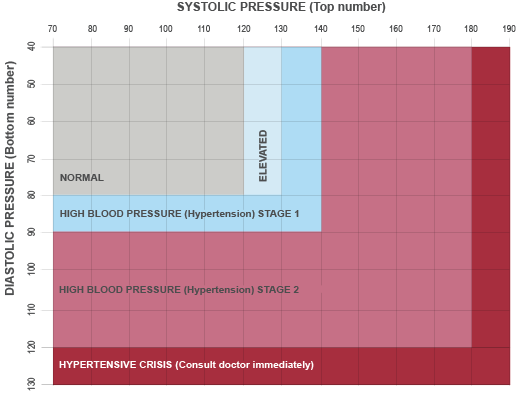 Understanding blood pressure readings. http://www.heart.org/HEARTORG/Conditions/HighBloodPressure/KnowYourNumbers/Understanding-Blood-Pressure-Readings_UCM_301764_Article.jsp#.Wwb0yejwa9I. Updated June 1, 2018. Accessed June 13, 2018. 2. TARKA [package insert]. North Chicago, IL: AbbVie Inc.